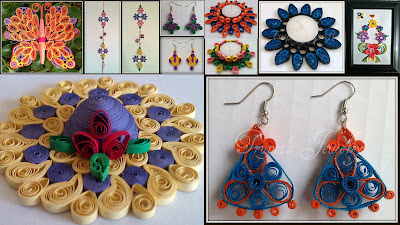 In second week of March I taught Quilling to 7th Grader Laiy who is from Mumbai. She practiced it for couple of weeks and look at her work. She sold her few creations to her friends and now she got few more orders. Good job Laiy. I am so proud of you.